Last minute shows call for last minute blog entries, right? 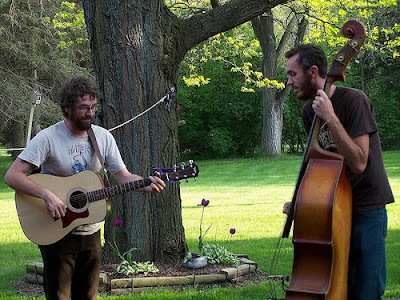 Everyone's favorite folk punk band Andrew Jackson Jihad headlines a show at the UUC in Stratford tomorrow night with Bomb the Music Industry (download a lot of their music in the link posted below. Don't worry, they put it up themselves!). Michigan's own ska punk heroes We Are the Union will play along with up and coming local bands New Year's Revolution and Summit. Because really, what better way is there to spend your St. Patrick's Day than with rowdy sing-a-longs and some cheap, great music?